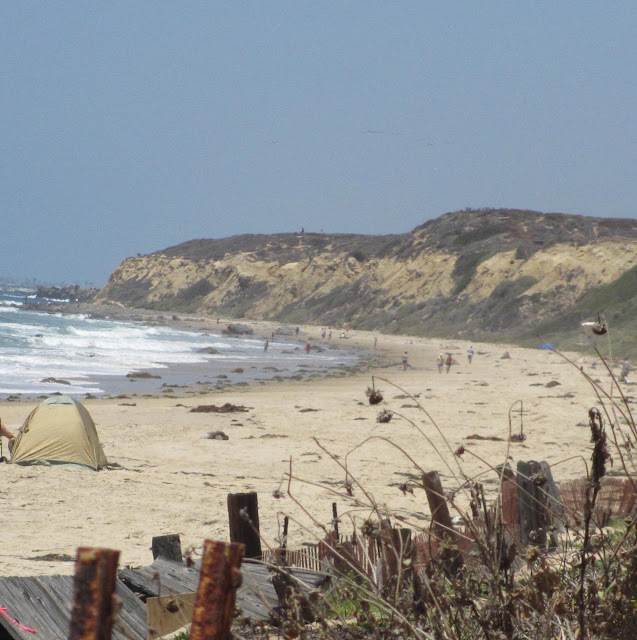 Today I'm posting Crystal Cove located between Newport Beach and Laguna Beach, California. 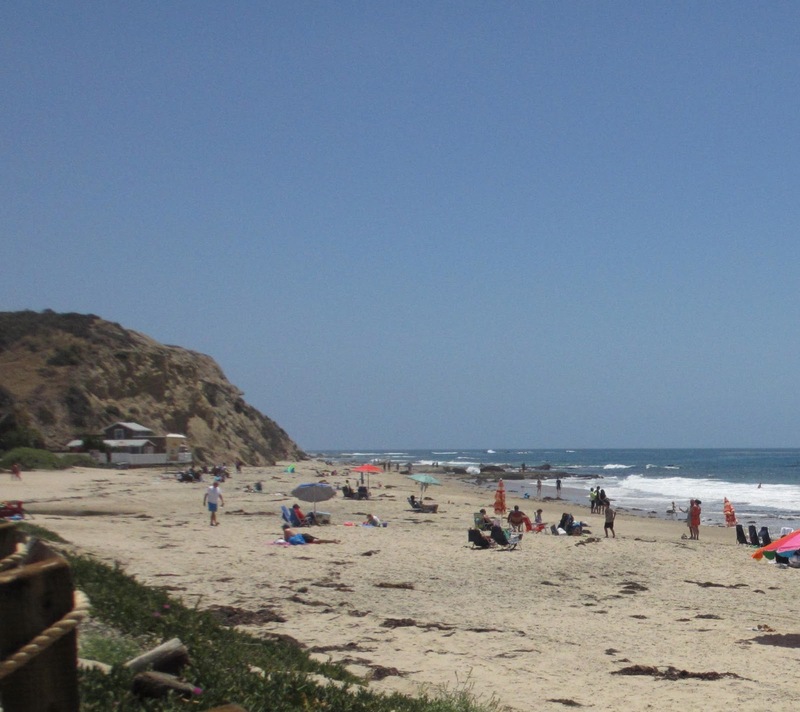 This is a photo of the beach to the north. 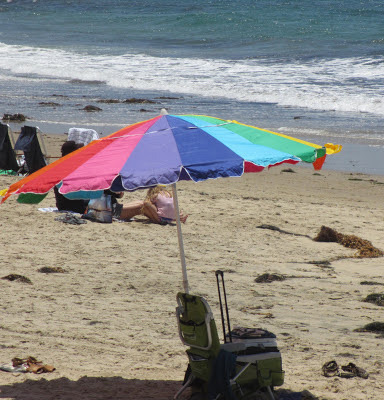 beach is public. The cottages are vintage and quaint and the area is very private. equipped cottages are for rent. 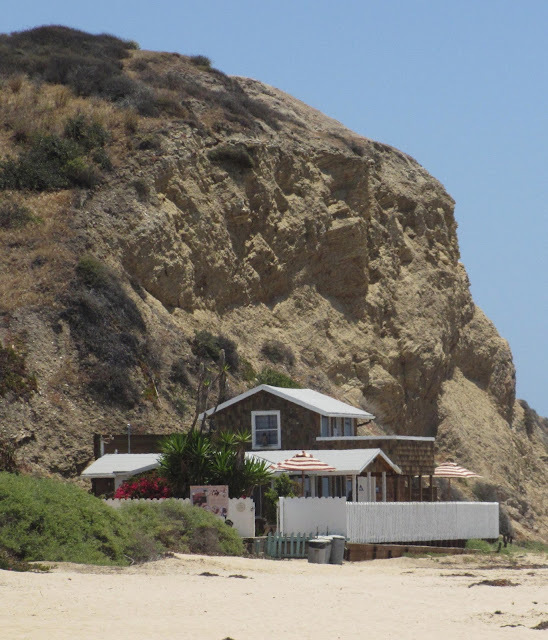 One of the beach cottages on the beach that you can rent from $42 a day to $249 a day. 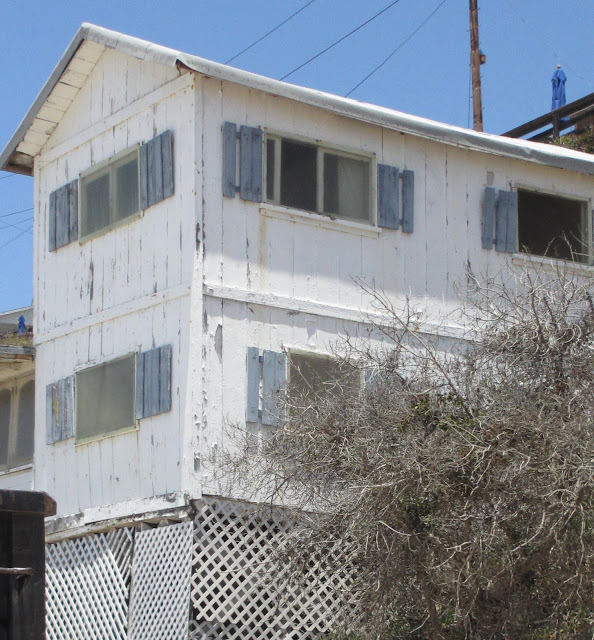 An iconic beach cottage being restored. 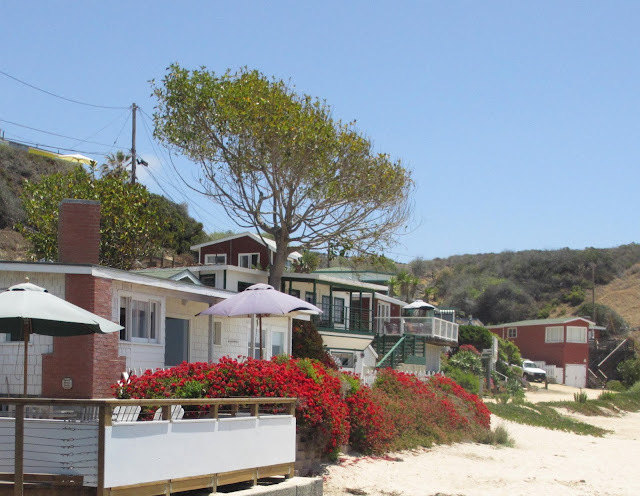 A photo of some of the cottages on the beach that can be rented for a day up to seven days. Can you imagine yourself sitting here in the California sun? Vintage sign for sale in the gift shop. There is a cafe on the beach called the Beachcomber. I watched the series premiere of "Graceland" on the USA network last night. but the shots of the pier alone, I think, are from the south side. seen this new series, what do you think? thank you for your visit. 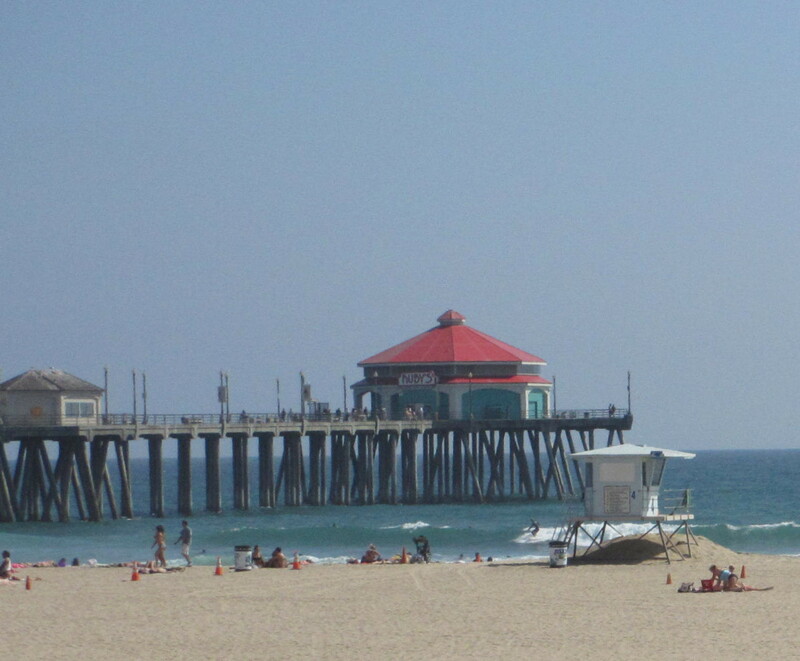 I love Florida beaches, have been there several times. mostly on the Keys. 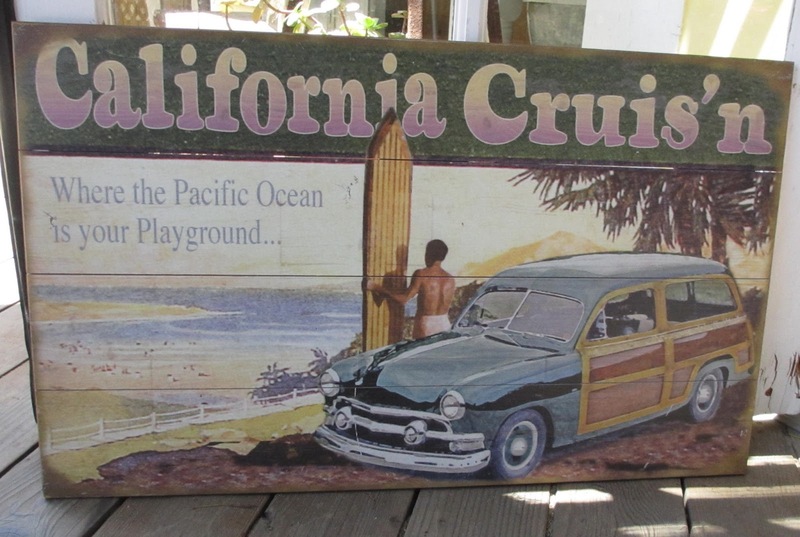 We also have been to California beaches but that is a long time ago.Loved it there. Love this wonderful place and that shabby beach cottage........soooooo beautiful and charming!!! Thank you for sharing this!!! And thank you so much for your visit and watching the video on my blog. I know, it is very hard to watch, but all the sadness is the real life of millions of animals everywhere in the world. The most people don´t like to think about it, but before we can change something, we have to know about it. And I would be so happy to reach their hearts, so that we can make the world a little bit better!!! Thank you for all!!! You always BRING ME HOME every time with your posts. I just love to see in my email that you have posted something new, and I always know you will charm me with roses, cottages, beaches, shabby chic, West L.A. or something fabulous! 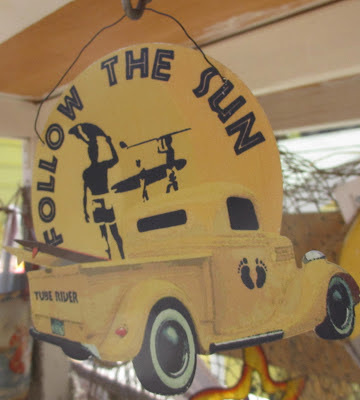 I LOVE those vintage signs! It is just the kind of thing that I am looking for to furnish the guest room. I love the California coast! I've been to this area and all along the coast from San Diego to SF. So beautiful! Oh what a lovely beach. It's a place I long to be right now (it's so dreary and rainy here in NYC right now). I love all those vintage sign. Hi Susan, Again you are talking about my stomping grounds, I never stay in a beach cottage I just my my hour and a half drive home but, you have me planning a holiday stay just to be able to wake to the rush and sounds of the beach at foot. There is no place I would rather rest my heart on other then the beach air and that view. This was a post that in itself made me feel as if I were there staying in a bungalow of my choice. Love the posted vintage signs you always post creative places and pieces that inspire. Always leaving a beautifully inspiring heartfelt comment. Beauty and inspiring days to you. Whistful sigh! It's so hot and humid here in VA today ~ sure wish I was at the beach! great shots! it's looking nice and warm in your part of the world. 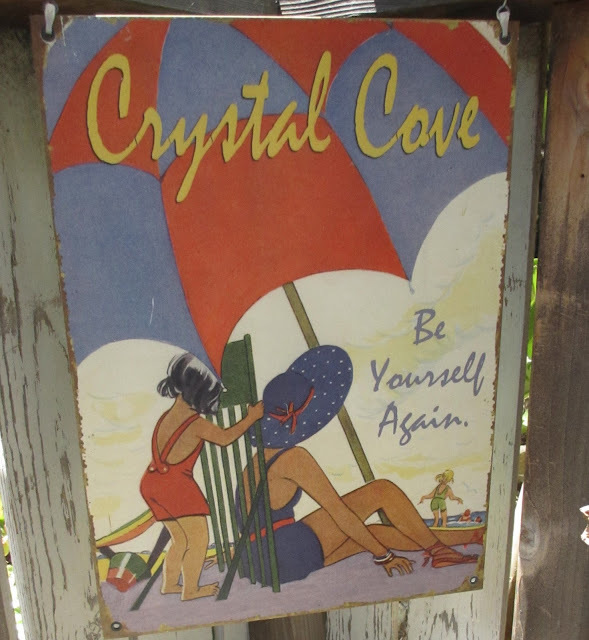 your beaches remind me of gidget, my favourite tv show when i was young. Wow! Loving the beach shots! I'd love to rent one of the cottages for awhile. Love all the vintage signs too. We'll have to stop here on one of our jaunts.